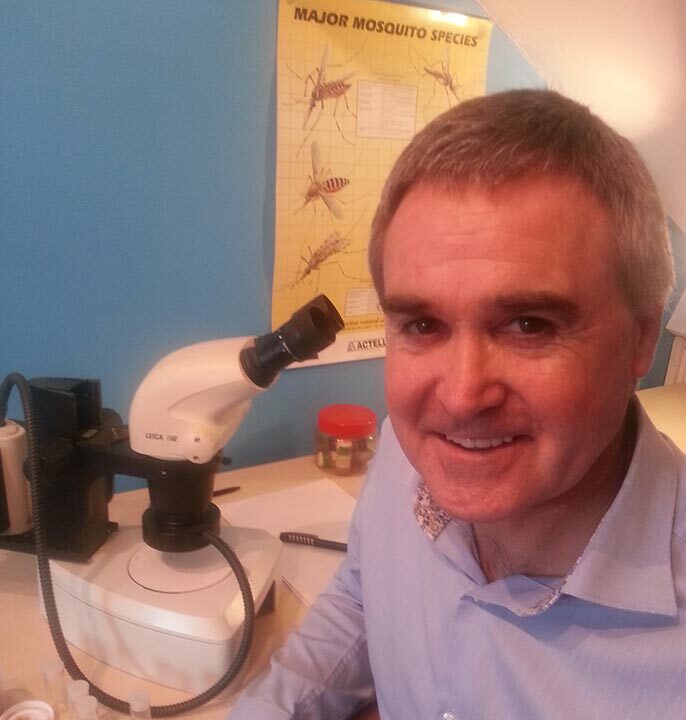 Whilst achieving a BSc in Zoology at the University of Liverpool, John Lloyd also studied parasitology and vector control at the Liverpool School of Tropical Medicine before gaining 20 years experience in pest management in the food industry and also in a wide variety of other market sectors. John has now established IPMIC Ltd but was previously working with Acheta Consulting Ltd as a technical consultant and company entomologist and was involved in site inspections, pest management quality audits and advising on both vertebrate and invertebrate pest problems both in the UK and worldwide. Previous company experience included work with Precision Pest Control Ltd and Cannon Pest Control (where John was employed as National Technical Manager). An active entomologist for over 40 years, entomological projects have included working with and trapping insects in the UK, Europe, Asia, Australia, Africa (Cameroon & Tanzania), and the Middle East. This experience and exposure to a high diversity of insects such as flies (including mosquitoes), moths, beetles, cockroaches (both urban and wild species), complement the technical demands of the pest control sector – especially for stored product insects, mosquito management and other flying insect issues. Factory audits for compliance with food regulatory standards and codes of practice set by certification and accreditation bodies. Audits include a quality review of the performance of the pest control contractor and the standard of pest management. UK, Europe, South Africa & South America, Middle East, Thailand , Korea & China. Factory audits for vertebrate & invertebrate problems in UK and abroad. To provide an independent pest management and insect consultancy service for food, non-food and pet food companies in the UK, Europe and worldwide. Supporting single site and multi-site organisations and their supply chains and thereby aiding client retention and new market development. To advise our clients on how to be compliant with company and industry regulatory standards with regard to vertebrate / invertebrate pest management. To advise public sector organisations regarding pest matters prejudicial to public health. We help clients minimise their exposure to risk from pest activity by providing a highly qualified and experienced pest management auditing and a root cause analysis service. We seek to safeguard brands and businesses from pest related problems and help companies to maintain their high quality standards for pest management. We provide customers with insightful opinions and constructive advice in pest control matters. Helping clients to remain compliant with company standards and regulatory codes of practice for the food industry. We assist our clients in achieving the best possible service from their pest control contractors. By working closely with clients and their pest control contractors we raise awareness of pest management issues, improve the standard of pest monitoring and pest management. Our service helps clients to develop their business and to continuously improve their Quality standards for food safety and pest management. We can provide a rapid response to problems when required and will provide a clear line of direction in the management of pest issues, especially in moments of crisis. If required, we can provide an expert witness service and technical support in legal matters relating to pest management issues. Independence. Reliability. Professional excellence. Confidentiality. Quality Service.